The Carriage Driving Hats are here! 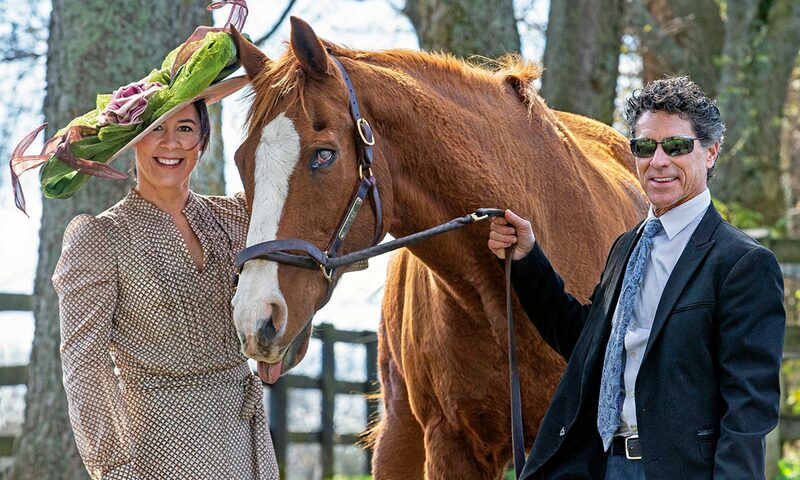 I create ladies’ custom hats for all kinds of equine sporting events: the Derby, Royal Ascot, polo matches and steeplechase. For years I have been dying to create a collection of carriage driving hats; stylish chapeaux for women to wear for their carriage driving competitions in a uniquely MAGGIE MAE DESIGNS® style! As luck would have it, this spring a woman named Lynda St. Andre from Norwood, MA contacted me and asked if I would create two carriage driving hats for her upcoming country pleasure driving events. Lynda owns a striking 6-year old American Saddlebred gelding named Attache’s Chocolate Thunder. She needed the perfect chapeaux to suit her sense of style and also to match her horse’s chestnut coloring. I was in heaven as Lynda and I together brainstormed on the designs for her two hats. Finally, we arrived at a custom version of the “Meg” chapeau and the Dianne’s Chelsea. The hats turned out wonderfully, and Lynda and Thunder have already won two Reserve Champion ribbons this season! Hats with simple trims and hats with more detail in a wide variety of colors and fabrics that will work for every season! And the Carriage Driving Collection will keep growing, as all MAGGIE MAE DESIGNS® collections do, with new hats being added as I experiment with designs and receive valuable feedback from customers and supporters alike. I do hope you enjoy the following slideshow of some of the new hats, and I invite you to visit the actual Carriage Driving Hats webpage to see the entire collection. Once again, thank you for visiting Hats and Horses! Well, Sally, you did it again!!!!! These are GREAT!!!!! Laurie thank you SO much! I love your blog too, so inspiring and such lovely images. Welcome to my little blog, and I’m already looking forward to your next post! Next PostNext Hats Off to my 2013 Derby Hat Ladies!